Weeks after asking consumers, “Will you keep watching Dish Network? Please?” by integrating Netflix into its set-top boxes, the satellite provider has made one more step in the direction of eliminating those set-top boxes entirely. That step is Sling, the company’s version of the cord-cutting Internet TV services that are generally agreed to be the future of the medium. However, at the moment that future looks pretty dystopian, at least for the non-sports fans out there. The good news is that the Sling package, which goes for $20 a month, does include ESPN, by far the most expensive cable channel and the sole reason many an athletically minded consumer has continued to pay for cable. Beyond that, Sling’s roster isn’t all that impressive, offering up a dozen channels including the aforementioned ESPN, ESPN2, Disney Channel, ABC Family, Food Network, HGTV, Travel Channel, TNT, CNN, TBS, Cartoon Network, and Adult Swim. That excludes not only the broadcast networks, which may be holding out so consumers subscribe to their steaming services, but also pay cable channels like HBO and Showtime and major cable networks like AMC, Comedy Central, Discovery, and Nickelodeon. Curiously, it also doesn’t include any of A+E’s networks, even though the company granted Dish streaming rights to those networks last summer. This raises the frustrating, but not terribly surprising possibility that consumers who don’t want to pay for cable but want a variety of channels will have to subscribe to multiple streaming services, paying just as much or more for these individual services as they did for cable—until one service emerges triumphant from the Thunderdome, anyway. Another downside of Sling’s business model is that it will only allow one stream per household, making it impossible for, say, Mom to watch a cooking show in one room and Dad watch the game in another in a hypothetical household defined by antiquated gender stereotypes. (It also eliminates the possibility of sharing logins with your friends, which, once again, HBO wants you to know is totally cool with them.) 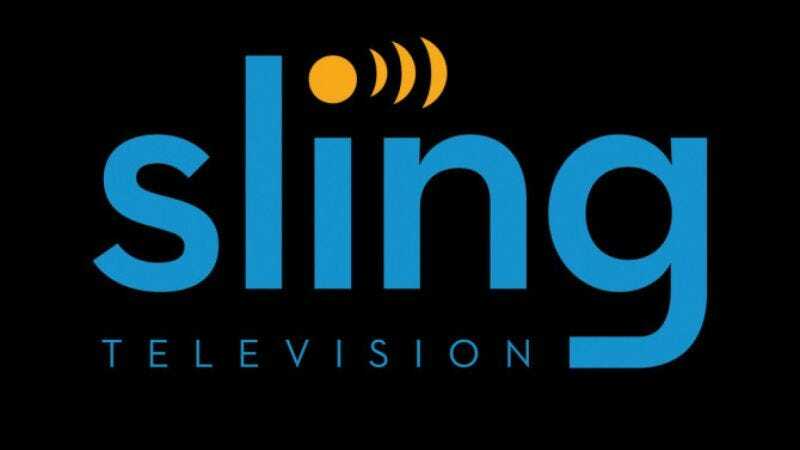 Sling will be available through the usual video-app outlets, including smart TVs, Roku, Amazon Fire TV, Xbox, PlayStation, regular old computers, or on your phone.